Elizabeth Gore is the Founder of Gore Country LLC and the Entrepreneur-in-Residence at Dell Technologies, where Gore drives initiatives that support Dell’s goals around helping small and medium businesses scale and prosper, fueling the expansion of global entrepreneurship. Gore is extending Dell’s global advocacy efforts to raise entrepreneurship to the public policy agenda, encouraging practices that support and enable entrepreneurial growth globally. 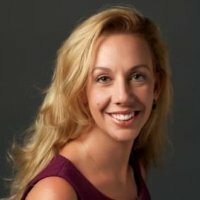 Elizabeth Gore is personally advising the growth of purpose driven companies such as the women’s accelerator Circular Board, ride share commuting company Scoop, online and mobile fundraising platform Classy, and innovative water company SOMA. Ms. Gore is part owner in Gore Family Vineyards and an investor with Portfolia. Ms. Gore is the Emeritus Chair of the United Nations Foundation’s Global Entrepreneurs Council that builds global partnerships that positively affect the UN’s most pressing humanitarian issues. Ms. Gore previously served as the first ever Entrepreneur in Residence for the UN Foundation as well as Vice President of Global Partnerships, and founded strategic grassroots efforts such as Nothing But Nets, Girl Up, and Shot@Life. Ms. Gore is a former United States Peace Corps volunteer and served in Bolivia, South America. She previously, served in previous capacities with the Points of Light Foundation and Share Our Strength. Ms. Gore is originally from Texas where she was a financial development associate for the A&M Foundation. She holds a bachelor of science in Animal Science and a master in Education Administration from Texas A&M University. Ms. Gore was named by People as one of the top 100 Extraordinary Women, is one of Fast Company’s Most Creative People in Business, and Entrepreneur Magazine’s Women to Watch. Ms. Gore has been featured on multiple media outlets including: ABC, CBS, CNN, MSNBC, FOX Business, Fast Company, Fortune, Glamour, Entrepreneur, People, and Time. She is a World Champion Equestrian, a sprint triathlete, runner, and climbed Mt. Kilimanjaro to raise awareness for the global clean water crisis on behalf of the United Nations. Ms. Gore currently serves on the leadership council of the Indiana University’s Lilly Family School of Philanthropy. Ms. Gore resides in Sonoma County with her husband James Gore, a California elected official and has two hilarious children.